My daughter’s latest drawing – Lady Gaga. 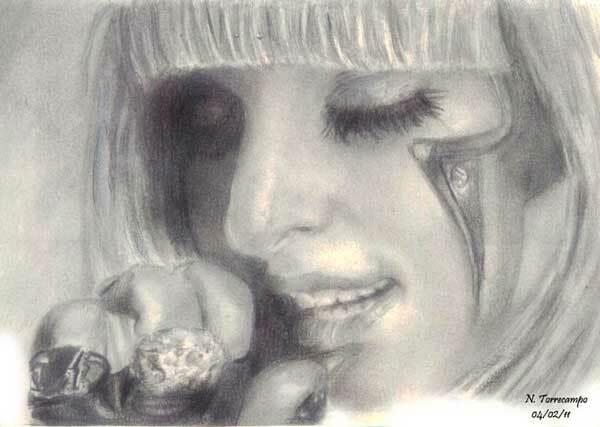 This entry was posted in Artwork and tagged lady gaga, lady gaga drawing, lady gaga sketch on April 7, 2011 by Yami. OMG! Your daughter drew that? Wow! Galing naman Mommy Yami! How old is your daughter? Nag art lessons ba siya? Such talent! She copied that from somewhere or from her imagination lang? Regardless, ang galing pa rin. I’m so impressed. So is my husband (I also showed this to him).